"PocketAid" is a medical assistance mobile app to meet a variety of your needs in a single application. 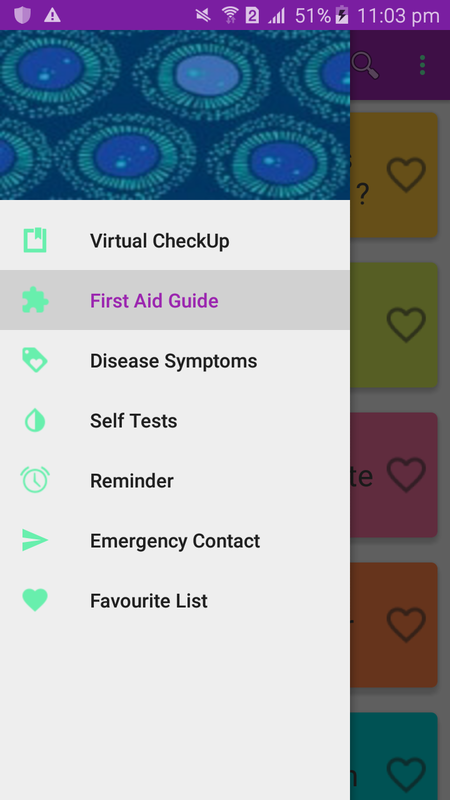 Core features of PocketAid are – Virtual Checkup (Prediction of diseases on the basis of the data given by the user), Medication Reminder (Reminder about medication, tests, vaccines and doctor appointments), First-Aid Guide (An offline step-by-step first-aid guide), Self Test (An offline step-by-step guide to help users perform DIY tests at home), One-Tap Messaging (Quick communication via location share while in danger), Daily In-shots (Daily tips about wellness), Symptoms Checker (An offline guide with causes, triggers, and effects of each disease). Most of us can relate to kicking back on the couch and enjoying a movie with friends and family. Scene It? is an app that allows users to discover the most popular and retro movies playing. 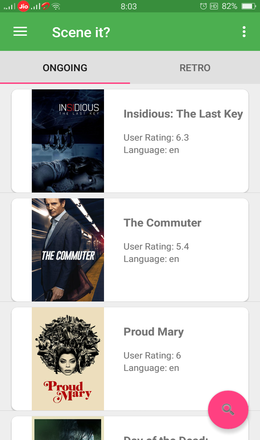 Upon launch, the app presents the user with a list arrangement of movie posters and their ratings. Scene It? allows users to change the sort order via a setting. The app provides various other handy features like searching movies by name, viewing details of a movie, such as trailers, plot synopsis, rating, and reviews. Users can also mark a movie as a favorite and post reviews, which can help other users of the app. 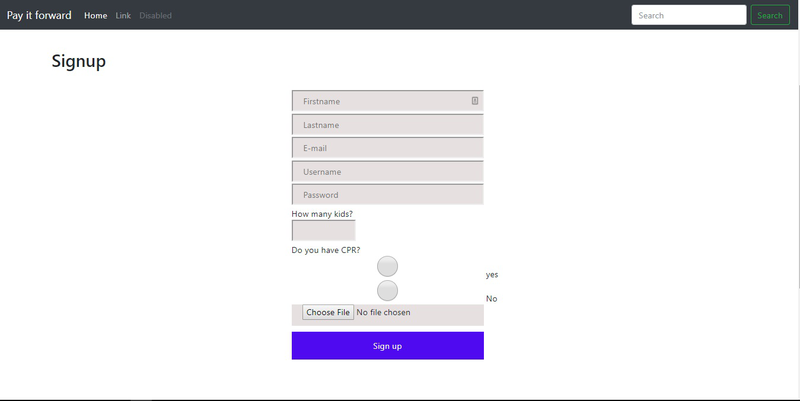 This app displays features like persistence of data, leveraging APIs and libraries as well. 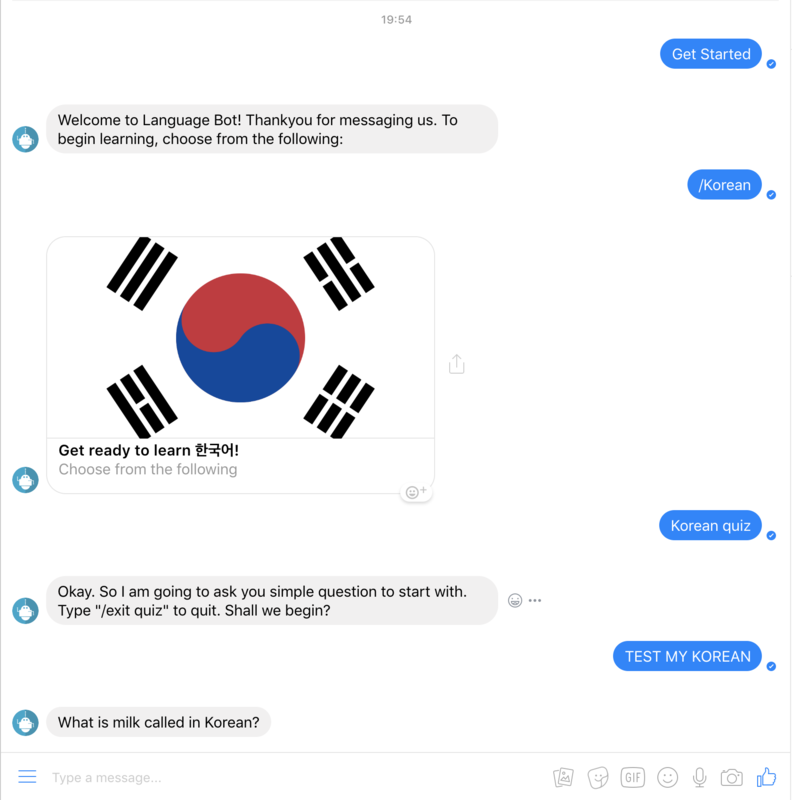 LanguageBot is a conversational bot along with GUI interactions which enables the user to learn a specific language by interacting with the bot. 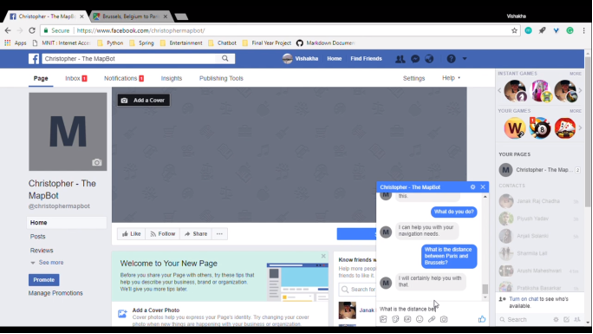 The project is built using Django framework for messenger platform. 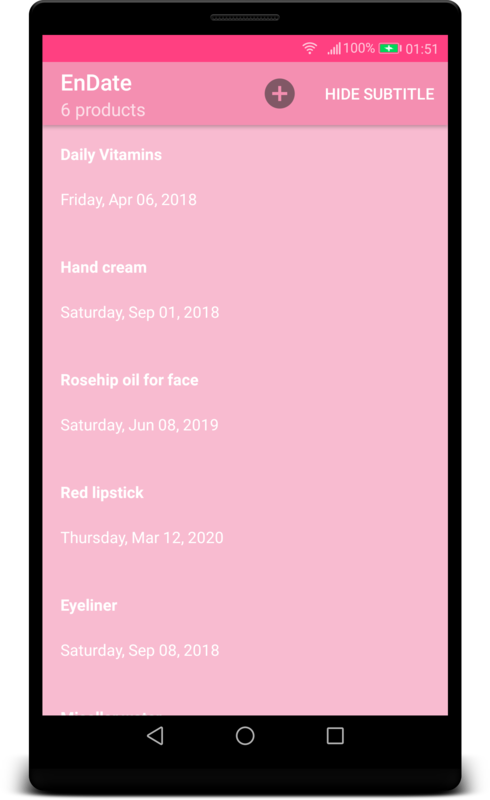 EnDate is a mobile (Android) app for tracking expiration dates of products like make-up, cosmetics, and medicine. Users can add, edit, and delete products, display the detailed view for each product and swipe through them easily, and keep track of the number of items on the list. Focus is a web extension that helps you focus on your work by temporarily blocking distracting websites. 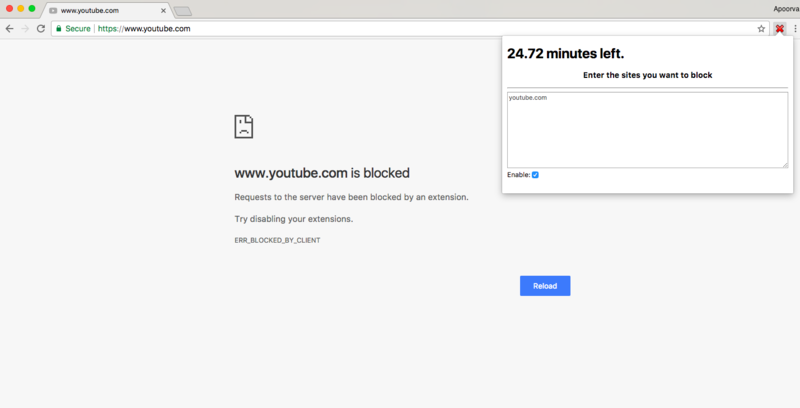 After the block timer of 25 minutes runs out, your websites are available for you to view again. This has been inspired by the Pomodoro Technique. Pomodoro Focus on Chrome Web Store. Pole Dance Calendar is an application that provides information about various pole dancing events. Intended to be a one-place access to pole dancing events taking place globally, the application solves the problem of having to check various websites or social media platforms to stay updated about events. In the current state however, it only consists of events hosted in Poland. These events could be championships, workshops, or in other formats. The application is designed to have responsive design and hence functions well on devices such as mobiles, laptops and tablets as well. The Legal English Flashcards app focuses on the acquisition of specialized, Legal English vocabulary (for the Polish – English language pair). It can be useful for law students, translation students, lawyers, translators, as well as anyone who wants to learn Legal English. The app includes two types of exercises: recalling the word (i.e. flashcards) and pair matching. Recalling the word is possible in both directions: from Polish into English and from English into Polish. The Legal English Flashcards app was created in Java using Android Studio and SQLite, following the GIT workflow principles. Co-op-Child-Care allows you to find babysitters using points. You will gain a point after babysitting a family’s children through the website. And, you are able to use the points to have someone watch your kids. It is free. How Well Do You Know Romania? 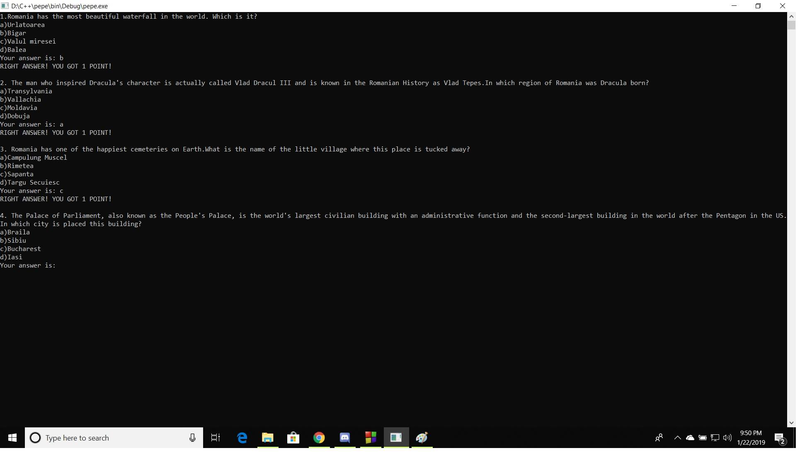 How Well Do You Know Romania is a quiz about the beautiful country, Romania. It helps users to learn funny and interesting things about the country. Everyone can do this quiz, especially the ones who plan to make a trip to this extraordinary place. Scapy is a guide for those who are interested in network, and cybersecurity. The product provide a simple code to understand Scapy, an intermediate code to understand cyber attacks, and an advanced code to see the most fun part of the project: be able to extract and view the images from a network traffic recorded. The project aims to give users a new way to interact with Google Maps by building engaging text-based conversational interfaces. Using Natural Language Processing, it analyses the user's intent and responds in the most useful way.